I am definitely not sin-free when it comes to my past and hazing others with the boys in attempts to amuse ourselves. Regrettable as these instances were, I learned from them at a young age (because I knew this was not what I was about deep down) and am proud to say that I grew to stand up for those who were different or weaker than myself. An experience I look back to that helped me form my ideas on how to deal with bullies started my freshman year when Kennedy High School was introduced to our district. They had the enrollment of a 3A school that had a draw from a wealthy community, but had been moved into our smaller 2A district because they had been overmatched athletically by other 3A schools they had been competing against. In dropping a weight class, they soon realized that being bigger and stronger had it’s advantages and began pounding on us smaller schools to their enjoyment. They soon became brash, obnoxious “winners”. The traditional smaller schools soon found themselves united in their frustration against this Kennedy juggernaut and playing them was intimidating and not very fun… because they didn’t just like to beat you, they enjoyed humiliating you. And they dominated every major Southern CA sport across the board. Occasionally an individual wrestler, tennis player, runner, etc. could get the better of them; but the team sports were all dominated by Kennedy especially on the varsity level… where it really counted. 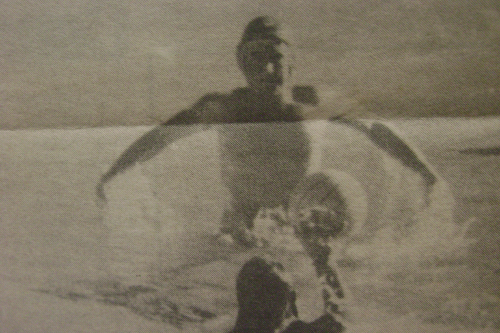 I realized quickly my freshman year that I had a gift and skill to play water polo. In my first game I had scored 3 goals and my coach wisely identified that I had greater upside if I were to switch into a full-time goalkeeper. I quickly excelled in this role change and started to carve out a name for myself in the league as a tough goalie. Then it came time to play Kennedy on the varsity level for the first time as a goalie. I started out hot, blocking a penalty shot, having a lead after the first quarter, and keeping my out-gunned team in the game for nearly 3 quarters. I remember the frustration vividly and as the final seconds expired I didn’t care that we had made them flinch… I hated seeing them celebrate, again. In the locker room my friend and senior team captain Jeremy lost it. Enraged by losing his last game against these guys he went up to every one of the opposing players in the locker room and challenged them to a fight. I saw what was going on and I had Jeremy’s back, even if I didn’t think it was a “wise decision” to instigate a locker room brawl completely outnumbered… I wasn’t going to let him take on 20 guys by himself. Oddly enough… nobody wanted a piece of him. And I remember standing there behind him with my buddies Shawn, Dave, and Hyo (inside shaking in our boots… or speedos in this case) but confident behind our leader and the shocked look on the Kennedy player’s faces. I know they had to be measuring out how tough we could possibly be in a fight especially since we were challenging an entire locker room outnumbered 3 to 1! (Again, not my crazy idea but I stood behind our guy). Finally, someone took Jeremy up on his invitation and it was on just as the coaches came in to break it up. Heading into my senior year I was now the leader of our team. Unfortunately, we still had to piece our squad together lacking a completely talented top to bottom roster like Kennedy and we still wouldn’t be able to swim with them. So if we were to finally beat them I had to cover some serious ground in the goal because they were going to get plenty of point blank shots. I focused on beating them for an entire year learning each individual players tendencies, training harder than I ever thought I could… also dedicating myself to the music of the “Dead Kennedys”. When the game started an old dynamic came back immediately… and I found myself facing 2 Kennedy players all by lonesome. Instead of retracting into my past fears… I was fierce and prepared for the challenge welcoming them to try and score. I blocked several of these exchanges out of the gates and I still remember the reaction from the crowd since half of the other schools were there to back us up as we were finally a true threat to challenge these tyrants for the first time. My coach said afterwards that he knew we had won the game at that early point because he saw the fear in their eyes when they first went to shoot at me. We went on to beat them bad as they recoiled and lost their will to get open and take shots on goal. 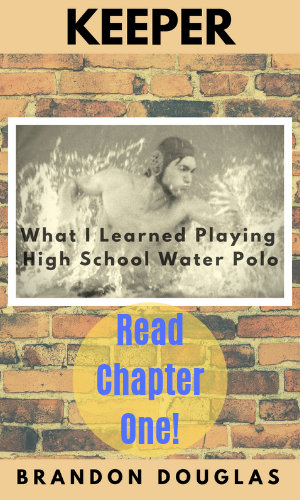 I went on to play bigger water polo games at a higher level… but I remember this one fondly because of the built-up history and what my teammates and I were able to face and overcome together to finally beat them. So did Jeremy’s tirade help me get over my personal fear of these guys? Did standing up to them in the locker room light the first flicker of fear that would eventually grow to us beating them? For four years they had become accustomed to teams cowering and laying down before any team that said Kennedy on their jerseys… and they definitely got off on it. A staunch bully says in his heart that they can’t be moved; they are incapable of being threatened (paraphrasing Psalms 10:6). But I experienced that beyond this false face of invincibility, a bully deep down has fears. When confronted and a sliver of that fear is uncovered, that escalates and they fear what those they are bullying could eventually become. And for the record my definition of a bully is someone that has become drunk on some type of power either self-acquired or power given to them; or is attempting to assert their power or will over others without consent. It takes bold action to break through the bully’s armor sometimes… but I’m glad I had the nerve to back up my friend in letting Kennedy know we weren’t afraid of them and didn’t appreciate being spit on all these years. 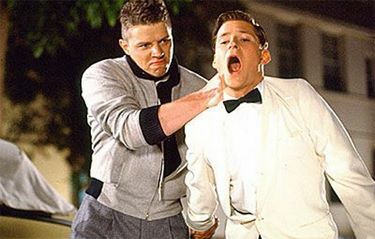 Of course these were the actions of how teenagers and athletes sometimes must deal with bullies and as I have aged I confront bullies differently than challenging them to fist fights. And I’ve seen plenty of bullies: in business, college sports, coaches, teammates, classmates, surfing the pier, co-workers, bosses, fellow church-goers, musicians, neighbors, teachers, government officials, and especially little league parents. So in hindsight I’m grateful that Kennedy came into the league, but I never thought I’d hear myself saying that during my time in high school. Thankful because they posed as an obstacle I had to reach deep down to do my part to overcome and helped me raise my own game and reach my potential in playing water polo. And as I was reviewing some of my life accomplishments (having turned 40 this year), I remembered this early life test and how it prepared me to overcome even more daunting bullies and bullish circumstances later on in life. It was an experience I could look to as a feather in my cap, and provided a template of determination I could follow whenever I found myself in a tight spot.